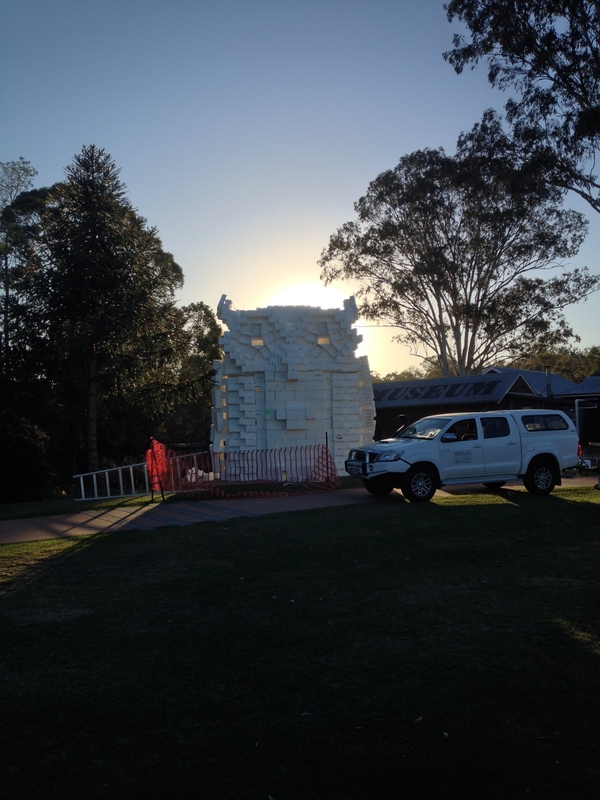 The sculpture is a white angel protector and in commemoration of the many endangered species of animals and amazing creatures in the Samford Valley that are lost on our roads every day. 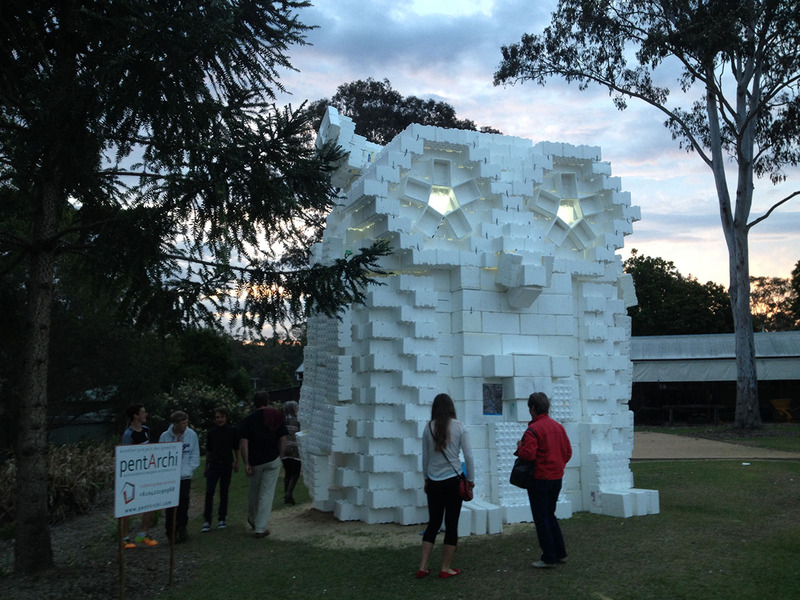 The installation uses recycled materials and endeavours to acknowledge and pay homage to the Samford Valleys symbol of the 'Powerful Owl'. 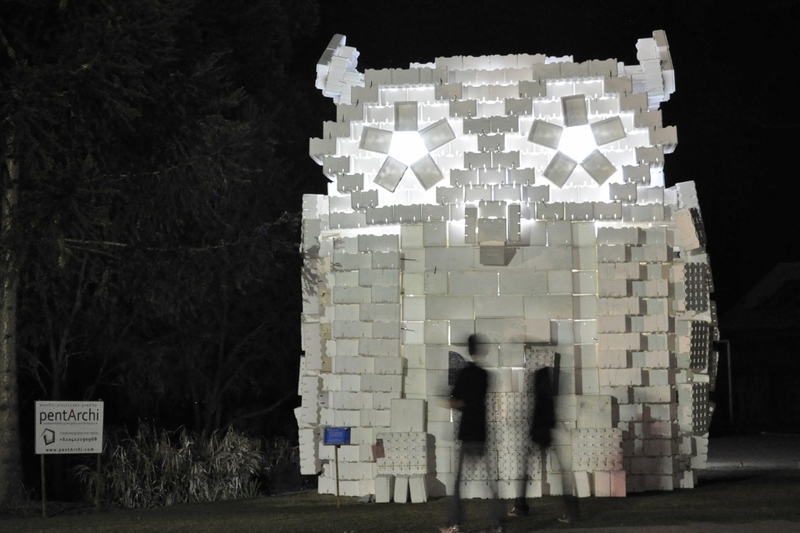 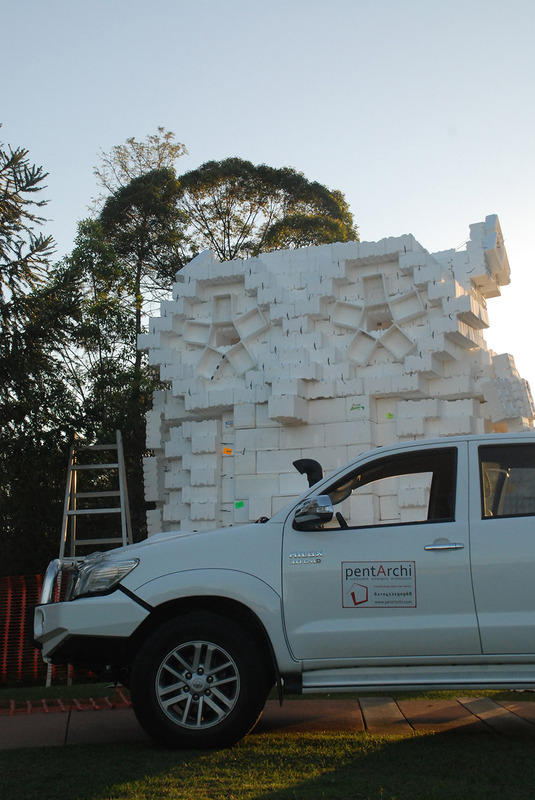 It explores the original meaning and other possibilities of metaphor and abstraction via pixilation as well as the sustainability of Expanded Polystyrene.